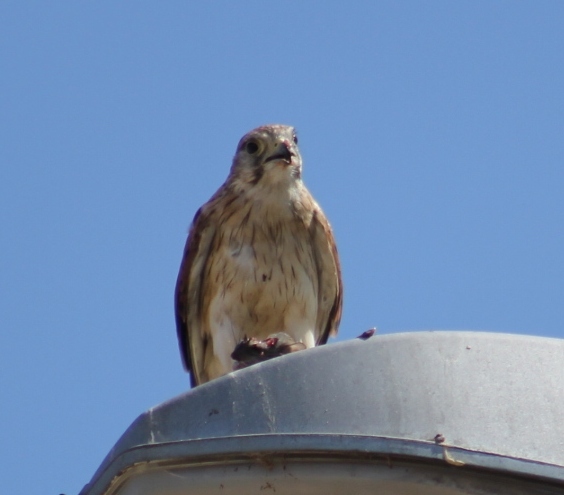 Peregrine Falcon - Palm Beach, 16th of January, 2013. Mottled breast feathers indicate this one is a juvenile. Was eating something atop a lampost beside the beach. Picture by A J Guesdon. 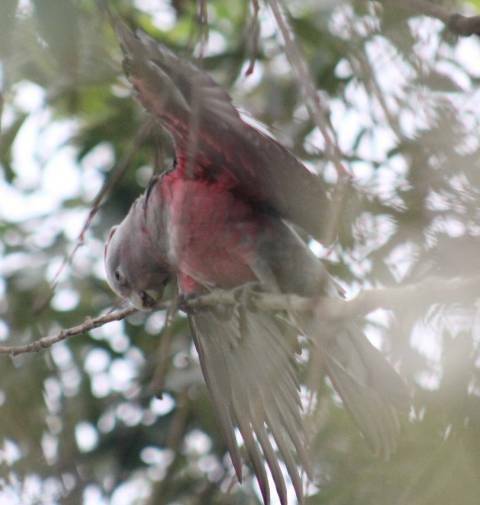 Another juvenile finding its way up and down branches of a eucalyptus on Saturday afternoon. Clearly we need to watch out, Fledgling birds are about and may tumble to ground in learning how to fly! When it's very hot our birds can dehydrate just as we do. 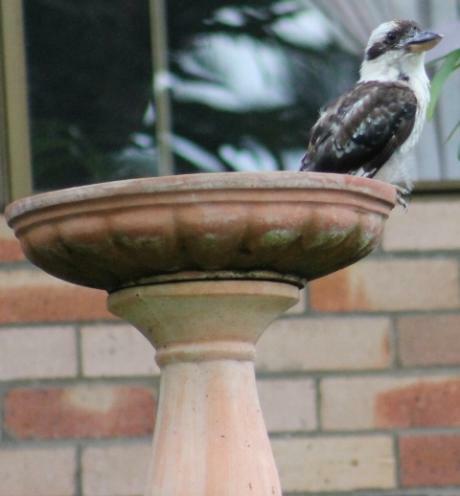 If you don't have a birdbath please consider putting out a dish of cool water in shady areas around your garden so these delightful creatures may get a drink. Not only will you be saving bird lives you will also get to see them having a bath or drink.